All participants get a race shirt! 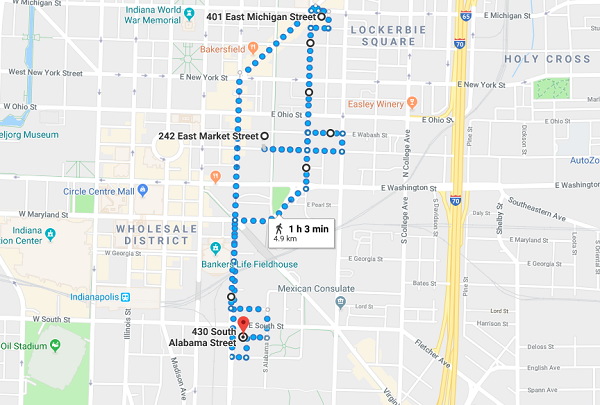 The Downtown Indy Ys Virtual 5K can be run anywhere at anytime from April 15th-May 31st, a suggested route would be this one (see below) as it takes the runner past all three Downtown Y’s. When this page loaded, the official time was 8:32:48 AM EDT.